If you’ve ever wondered how to use a vacuum sealer in your meal prep, this post will be very helpful to you. I’m going to walk you through how to use a FoodSaver® FM5330 Vacuum Sealing System and tell you how I plan to use it to make meal prep and cooking simpler and faster. If you’ve been following my blog, you’ll know I’m a gadget geek. I love my Pressure cookers and Air Fryers and anything else I can get for my kitchen to make cooking better and easier. I struggle with RA (Rheumatoid Arthritis) so it’s important for me to find gadgets that can make normal jobs easier for my hands to handle, so on bad days I don’t need to stay out of the kitchen. 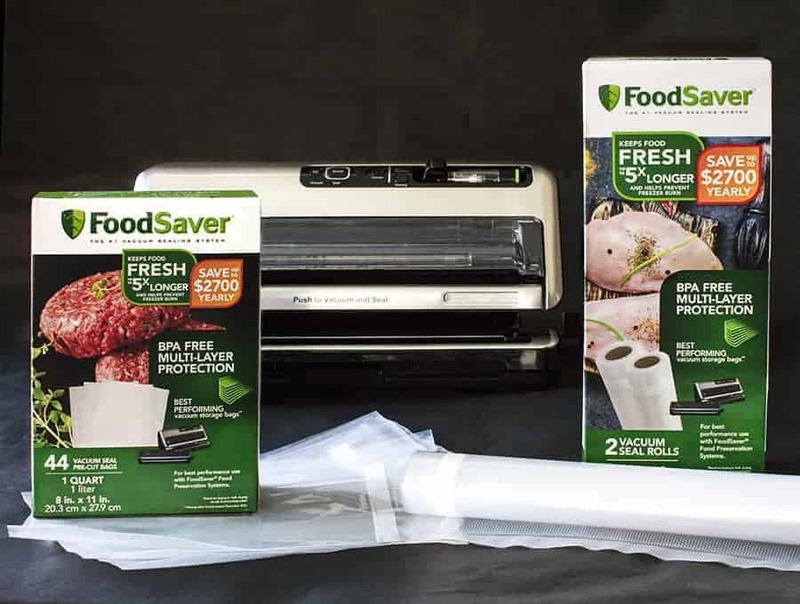 The specific products I will be focusing on today, as we learn how to use a FoodSaver® FM5330, are the FoodSaver® FM5330 Vacuum Sealing System and the FoodSaver® Heat-Seal Rolls and FoodSaver® Heat-Seal Bags. These products are designed to work together and do an amazing job. If you’d like to purchase them, they have a great deal going on at Bed Bath & Beyond and you can grab the FoodSaver® FM5330 Vacuum Sealing System HERE and the FoodSaver® Heat-Seal Rolls and FoodSaver® Heat-Seal Bags HERE. 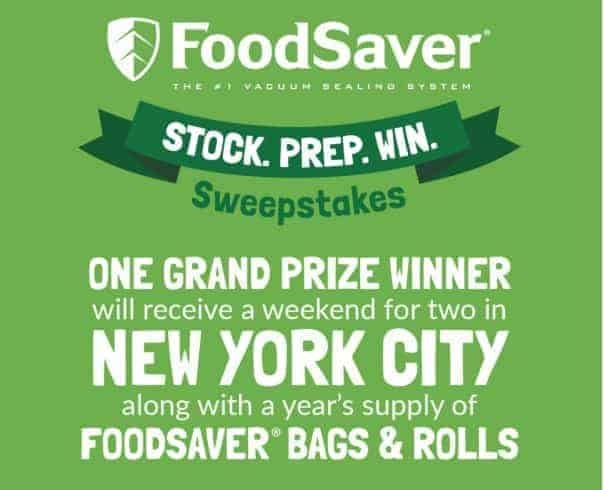 They’re also running a Sweepstakes right now where you could win your own FoodSaver®! Click HERE to enter to win! Stocking up with FoodSaver® bags and rolls this harvest and holiday season has its perks, every bags and rolls purchase gets you closer to NYC! The FoodSaver® FM5330 may intimidate you, only because it’s a new product you haven’t used before, but it’s really very simple and easy to use. Watch the video in this post for a step-by-step walkthrough. You can create your own size bag using the FoodSaver® Heat-Seal Rolls which is perfect for larger items or full-on pour and cook meals that you can prep in advance. 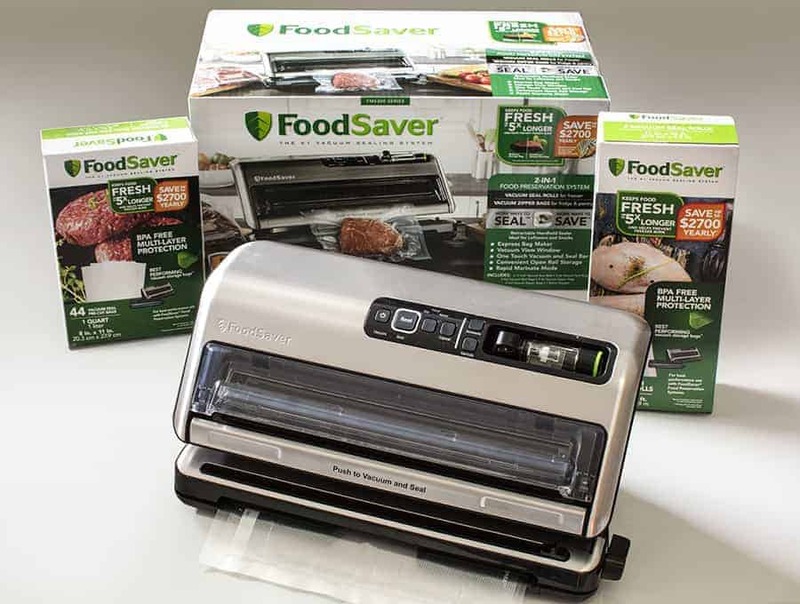 You can seal wet or dry items with the FoodSaver® FM5330 Vacuum Sealing System. When sealing wet items, you will select the wet setting, and the drip tray inside the machine will catch any extra liquid that may try to leak out when vacuum sealing the food. This is especially helpful when you are storing extra sauce (like I do often from my Butter Chicken recipe) or storing soup etc. What I love most about this FoodSaver® FM5330 is that it makes perfect little bundles that I can just plop into my pressure cooker (or slow cooker, if that’s your preferred method of cooking) for meal times. 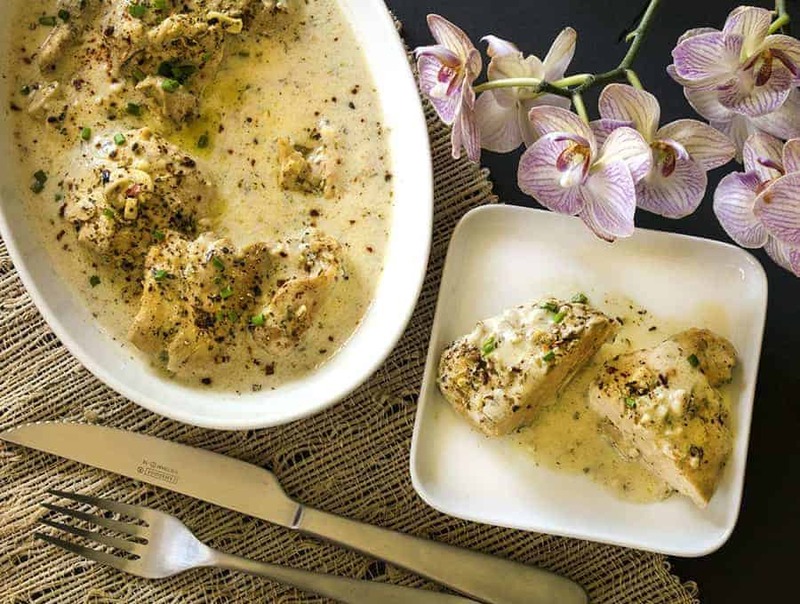 For instance, my Butter Chicken recipe is so easy to prep with the FoodSaver® FM5330, and it infuses a ton of flavor into the meat because of the vacuum sealing. I simply add the chicken to the bag with the garlic, ginger, and spices. Then when I’m ready to cook, I can pull that out of the freezer, add a can of tomatoes to my pressure cooker, dump my marinated chicken on top and cook. Pour and cook recipes are my favorite, and this makes it so simple for busy nights. You can use the pour and cook method with any of my recipes that marinate the meat. A good one to use this vacuum sealing method on would be the French Garlic Chicken. It rivals my Butter Chicken as a fan favorite and is so delicious. 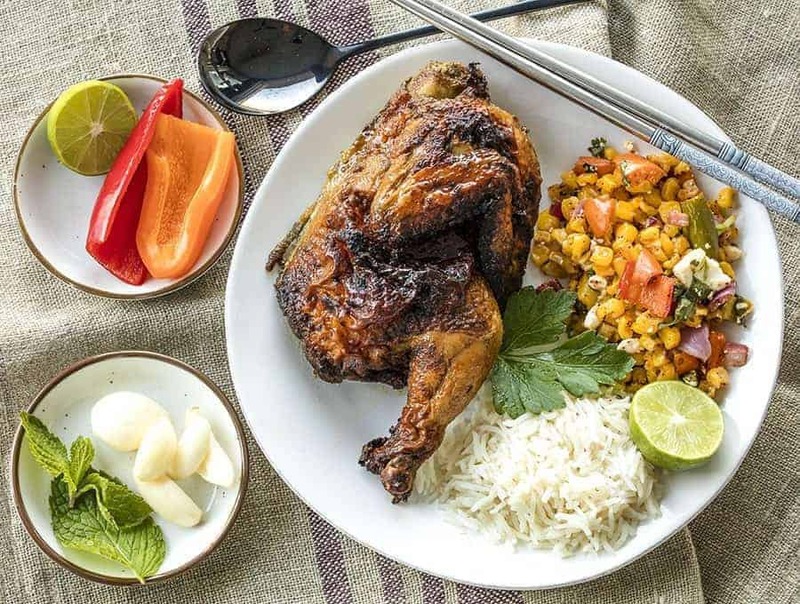 Another great recipe you can use while you’re learning how to use a FoodSaver® FM5330 is my Cornish Game Hens! They are great in the Air Fryer. How will you use your FoodSaver® FM5330 to make cooking easier and faster for your family? Was the attached video helpful for you? I’d love to hear from you on the subject in the comments below!